Ghostly Games Entertainment is not just a company that is all to themselves, please send messages to us for anything really. EVEN JOINT Ventures. We’re proudly like to present Canberra’s number one mobile video entertainment businesses around, “BLACKBOX GAMING SYSTEMS”. So, if you stumbled upon my site, and you meant to look for a “Canberra” local venture, please head over to their site right NOW. What we are hoping to do in the future is perhaps team up on a racing event, or a plain event somewhere. Will keep you guys posted for sure!! 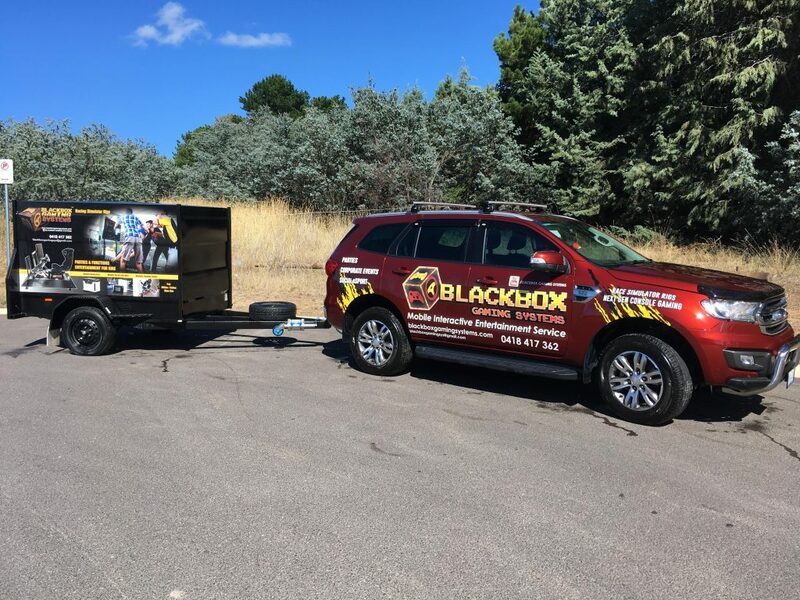 BLACKBOX GAMING SYSTEMS – The Ultimate Interactive Entertainment Experience at Parties, e-Sport Sessions & Corporate Events for the ACT & NSW Regions. Set up, pack up, management and gamer guidance provided. We all know that Game Consoles light up the eyes on nearly every child, even those big kids. Yes, I am talking even mums and dads (I am one of them) and grandparents. Clint has been a gamer since the mid 70’s, when played the first ever Home Game Console called ‘PONG’ (a little black box) and I have been hooked on gaming ever since. 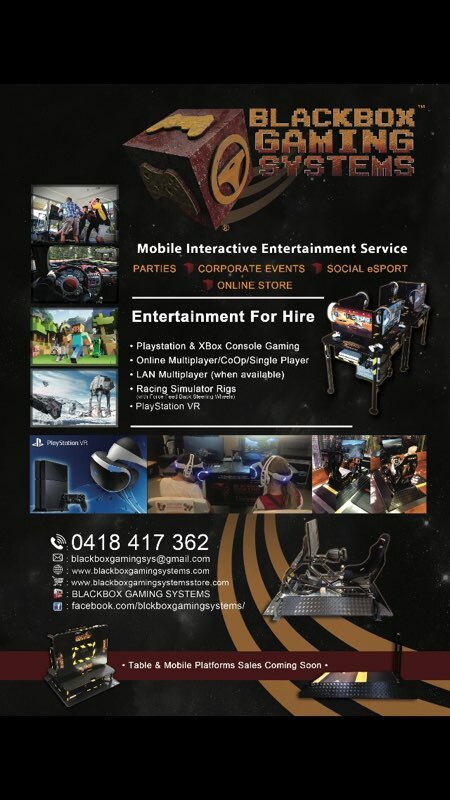 With my knowledge and experience on gaming I can bring the ideal entertainment package which includes PS4 & XBox One Console Gaming using my Modular Gaming Tables for both Off & Online fun. 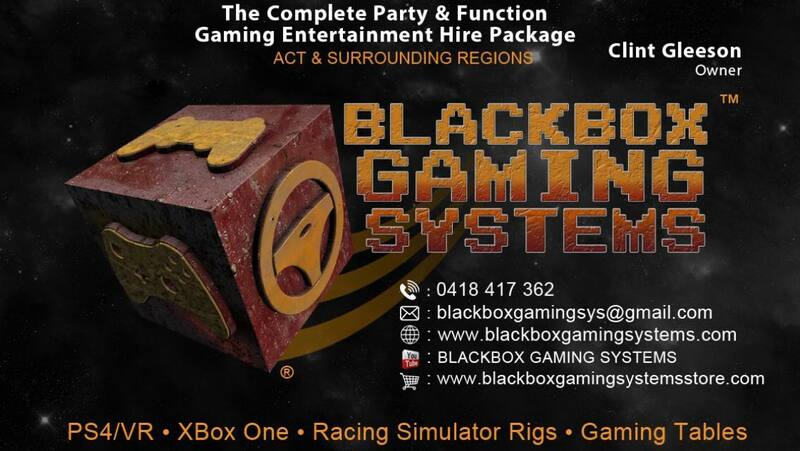 In addition to the tables, I can provide Racing Simulator Rigs, puting the player behind the Wheel. 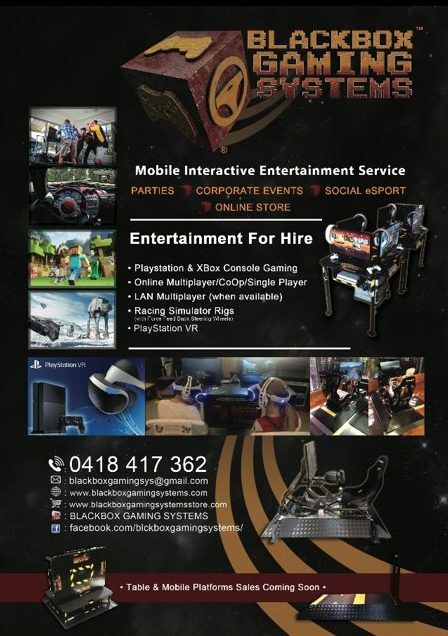 As well as adding a cool and eye popping element to your party, a system has been designed to ensure every level of gamer is catered for, together with a quick and easy set up/pack up process, whether you have set up your event inside or out (cover to be provided by party/event host). And they are definitely MOBILE! Mike is the founder of Ghostly Games Entertainment and has been passionate about this business for several years now. He has built the business from the ground up where it started from purchasing his first Video Game Truck to building this website. Mike is very outgoing and loves a new challenge. If you need a new website or general graphic design for your business, contact him on 0406 763 101. He will be very happy to help out! Easter 2019 is Coming Quick! Happy New Year in 2019! !